Our Odd-One-Out game flips the matching paradigm of the previous games on its head. 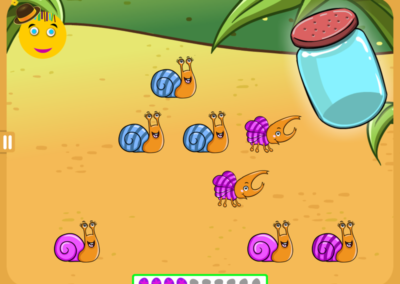 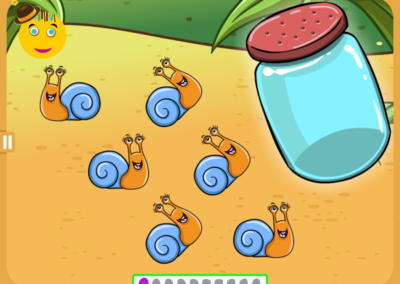 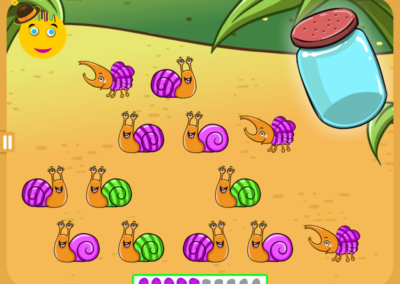 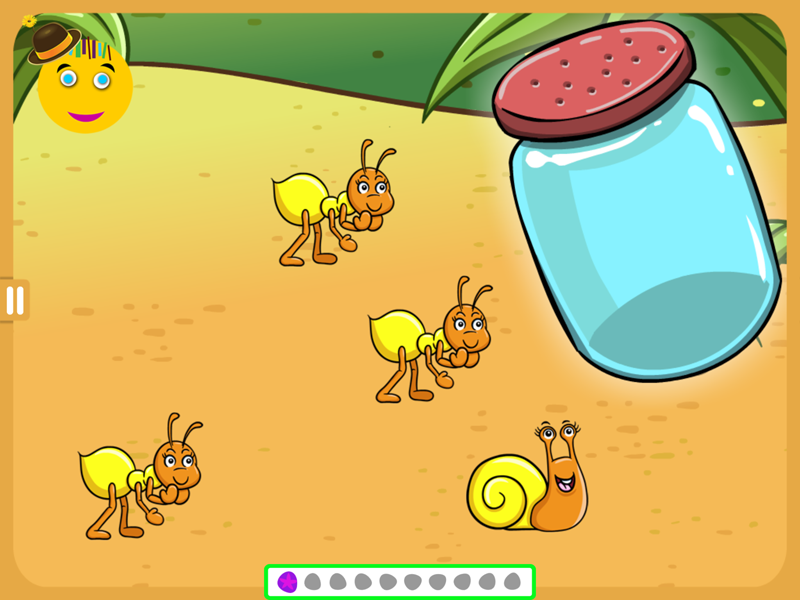 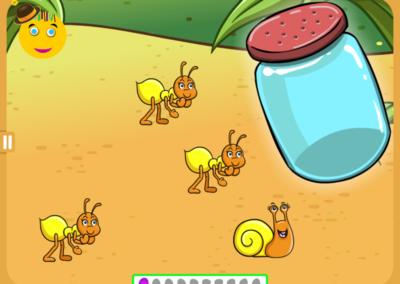 In this game, a child must find the bug that does NOT match any of the other bugs, and place it in the jar. 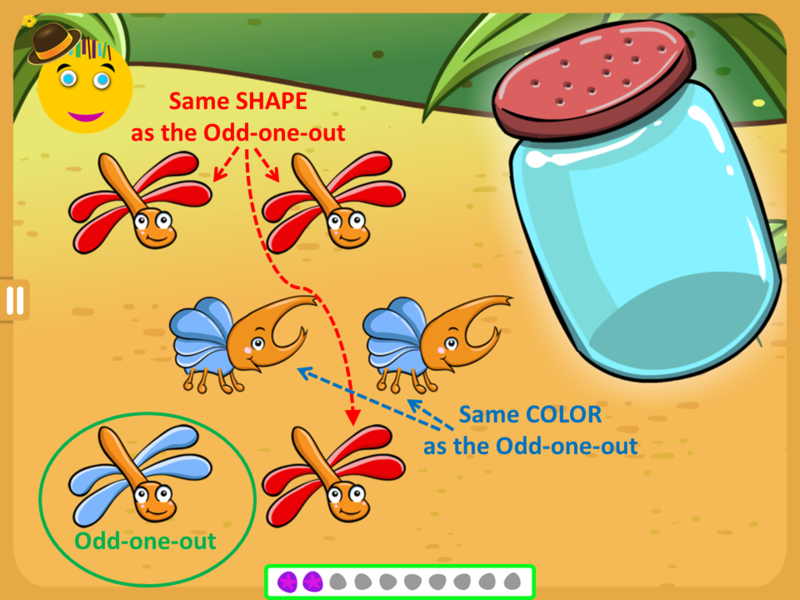 This game follows a typical odd-one- out scenario, starting with puzzles in which the “odd bug” differs from the others in color, shape, pattern, or orientation. 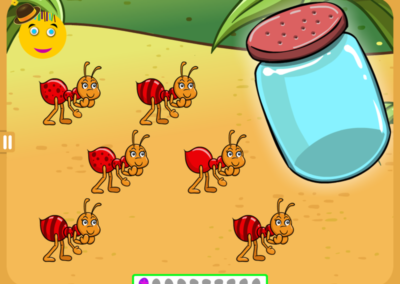 As with the matching games, this game really gets interesting (and challenging!) when a child is presented with scenarios that require simultaneous attention to multiple cues. 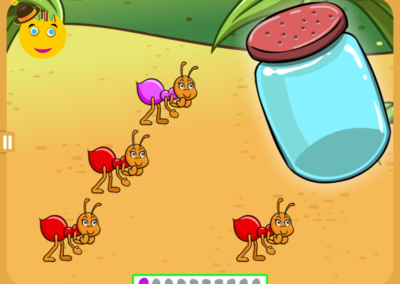 For example, in level 19, a child is presented with four bugs that are all the same shape and three bugs that are all the same color. 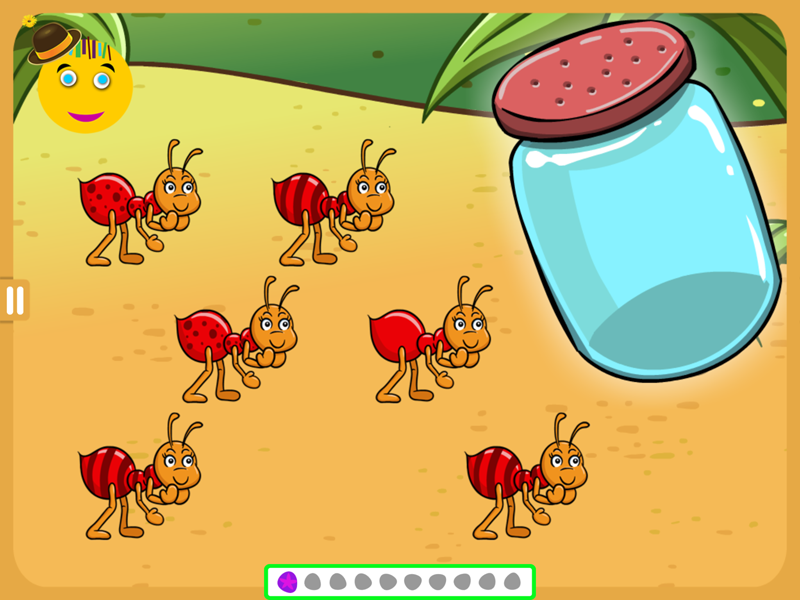 Fixating on only one cue at a time (either color or shape) will not be helpful for finding the answer. Only by noticing BOTH color and shape can a child pick the one bug that does NOT match the others in both categories. 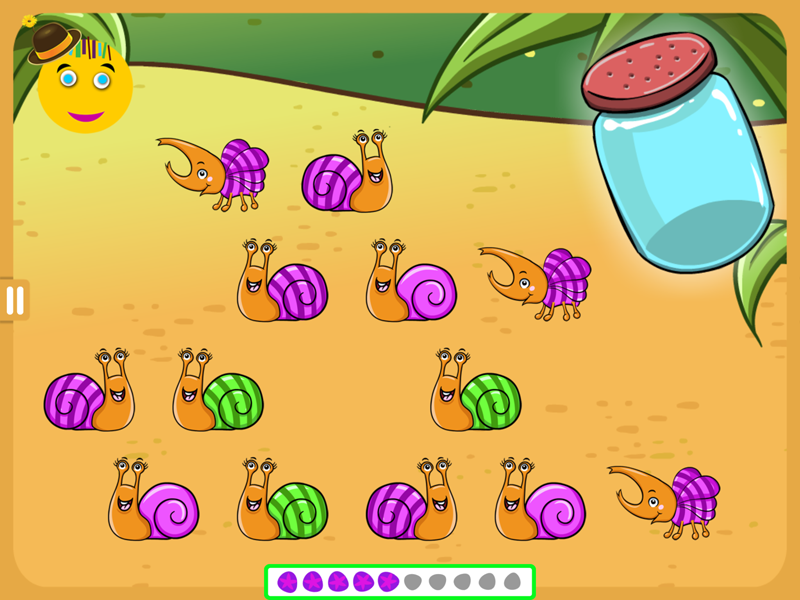 Subsequent levels introduce an ever-increasing number of distractors and force a child to attend to three and eventually four cues at a time. 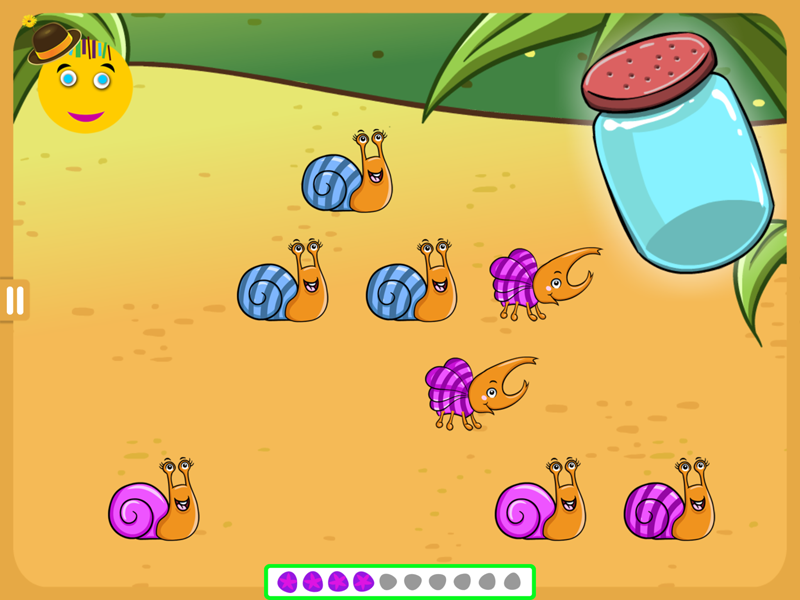 These more advanced levels are ideal for practicing multi-cue responding.